The MFC-8910DW is a high-speed laser all-in-one with wired and wireless networking. 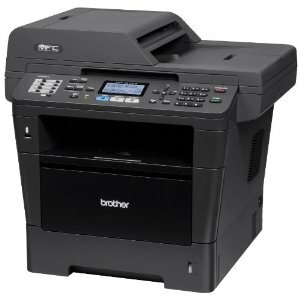 Ideal for businesses or small workgroups, it combines reliable, monochrome printing and copying up to 42ppm, color scanning and faxing. Plus, it offers automatic duplex (two-sided) print/copy/scan/fax, a legal-size document glass, and a 300-sheet paper capacity.